HTC is in the buzz again with the official teaser image for the HTC U11 now live with the launch scheduled for November 2. This being the official announcement about the U11 Plus, the leaks have also already revealed certain features. Starting with the official image posted by HTC, the HTC U11 Plus seems to be a smartphone with minimal bezels. The side bezel is almost gone and the bottom bezel is trimmed down to give a premium look. The phone is shown with a curved design with light antenna bands showing at the bottom border. With the release date already announced to be November 2, rumoured specifications of the HTC U11 Plus are making rounds of the internet. 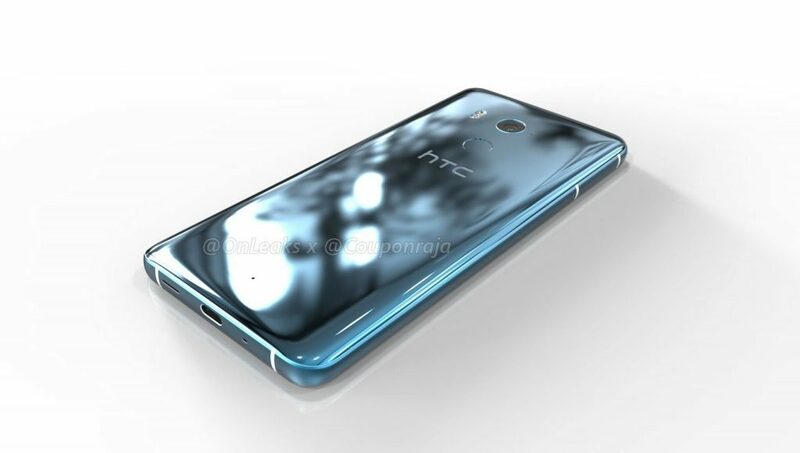 Renders leaked by OnLeaks show the U11 Plus featuring a similar glass back as the HTC U11. The Edge Sense feature is also expected to be present, offering a unique experience to users with its “squeeze” action. On the front, the HTC U11 Plus is expected to feature a 6-inch display with an 18:9 aspect ratio, in line with the new trend these days. The bezels, as seen in the official image are also expected to be trimmed down with a curved design at the back. Leaks also suggest that HTC is not yet offering a dual camera setup on the U11 Plus. As a result of minimal bezels, the fingerprint sensor is also tipped to be placed on the back below the camera. In terms of hardware, there are no tips about the processor on the phone. However, rumours point at 6GB RAM on the HTC U11 Plus. However, given that the HTC U11 was launched with Snapdragon 835, we may see the U11 Plus also featuring the same processor. The Android version of the HTC U11 Plus is also not yet leaked. However, we expect it to run Android 7.1 Nougat with a quick upgrade to Android 8.0 Oreo. We will get the full specifications upon release of the phone on November 2.